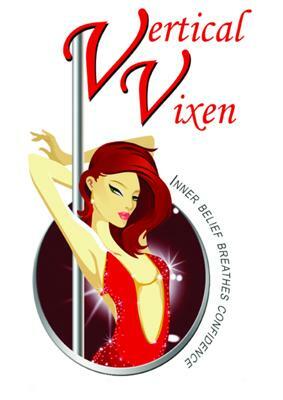 Vertical Vixen® is a leading pole fitness and pole dance school in Johannesburg, Gauteng. We have been operating since 2006, with studios in Fourways, Northriding and Edenvale. We aim to empower women by increasing their self confidence through pole dancing and sensual dance classes. Vertical Vixen has developed these classes as an alternative form of exercise and is proven to tone and strengthen the body whilst reawakening your sensuality. Pole dancing has become a new and progressive form of exercise. It can be looked at as an art form that includes a combination of cardio, strength training and gymnastics. Practicing pole fitness a regularly provides weight loss over a safe period of time and tones up the entire body, especially the upper body and the core. We also host functions for bachelorette parties, birthday parties or for anything else you can think of. Our personally trained Instructors are constantly on-hand, offering support, guidance and motivation to help you achieve your objectives. to the Pole and Fitness classes. There are more details on each instructor available on our website. What can I say, it's addictive! Since I have started pole and sensual dance I have lost weight, toned, improved my strength, improved my confidence - all while having fun. I have made a lot of friends in the classes and it feels like I am part of a team. Being able to compete in competitions has challenged my creative ability, given me motivation to improve in any way possible, and showed me how much I like to perform. I believe every woman should try it out at least once. I’ve found a new addiction…and my body loves it! After having been diagnosed with Rheumatoid Arthritis at the beginning of 2006, I didn’t think I’d be able to keep my fitness and muscle tone. I tried to continue with my high-impact sports, but always ended up having to have my joints drained and injected because the training was too rigorous for me. I thought that I’d never find something intense enough to enjoy, yet gentle enough so that my joints wouldn’t flare. Then I discovered it…POLE DANCING. After attending classes for about a month, I had noticed a huge difference in my body and in my mindset. I had lost inches and could see my arms, stomach and bum were getting some serious tone. Pole dancing has given my life an exciting new dimension and I can’t recommend it enough. No matter what your size, shape or age is, you’re guaranteed to have a great time and get toned while you’re doing it! Want To Contact This Studio? Join in and write your own page! It's easy to do. How? Simply click here to return to the Pole Dance Directory.